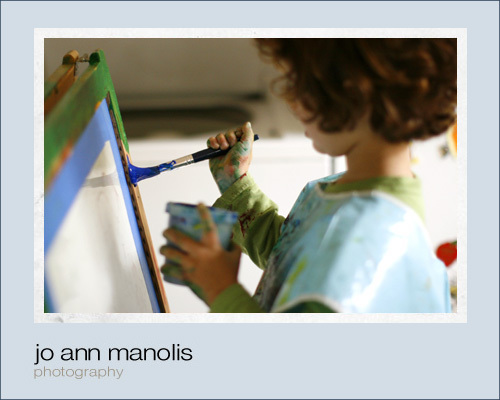 Welcome to the blog of Jo Ann Manolis Photography! I’m a wedding, portrait, and fine art photographer based in Santa Cruz, CA. I’ve created this blog as a means of sharing my work and life with my clients, family, and friends. I’ll be updating it regularly with my latest work, thoughts and ideas regarding photography and art, and links to many fabulous artists and vendors. So, take a look around, enjoy, and leave me a message here if you’re inspired. I can also be reached directly by e-mail via my website: joannmanolisphotography.com, or by phone at: (831)359-7948. Thanks for stopping by! What else is there to do on a rainy Tuesday afternoon but paint? 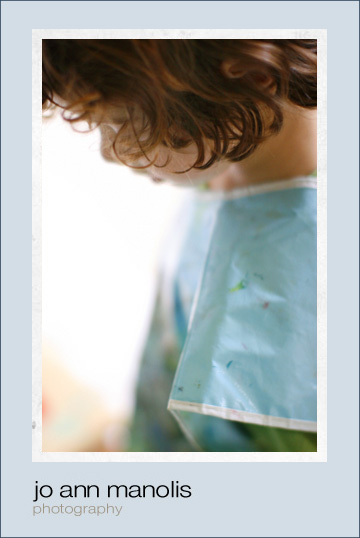 He opted out on paper, deciding instead to paint the easel itself. It sure looked like fun.